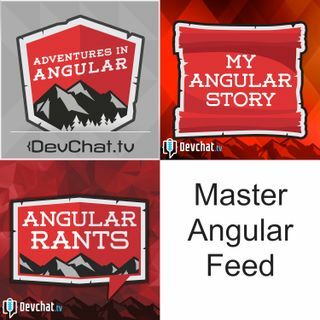 The panel interviews Vitalii Bobrov, who recently wrote an article on his blog called “Angular Smart 404 pages”. It is about the Levenshtein distance algorithm and it&#39;s uses and implications in working with 404 pages. Vitalii Bobrov ... See More explains what a 404 page is and how it is often times due to typos on the users part. He also goes onto explain the Levenshtein distance algorithm and how it can help guide users to the correct site. Vitalii Bobrov shares how he came up with the idea of using the Levenshtein distance algorithm with 404 pages. Charles Max Wood and Aaron Frost ask some very insightful questions on how the algorithm works and how to apply these ideas to their work. They jokingly share ideas on what Vitalii Bobrov could do with this idea.